If you are a member of SSC and would like to have the password please fill in the form below. We hope that some one from each Chapter could be the administator for their own page again fill in the contact form below and I will make the nominated person an Admistrator for their own page. If you can't find anyone I am happy to put any information up for you, send to frmark@societassanctaecrucis.org. With information of which page you want the information on. If you have any suggestions or comments for the web site or if there are any incorrect details or spelling mistakes please fill in the form. 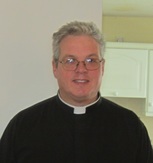 Fr Mark Gilbert SSC - Looking after the web. chapter. If you are interested in becoming a member of the Society, it is necessary for you to make that known to a current member in your area. NOMINATION FORMS CAN BE FOUND ON THE RESOURCES PAGE OF THE MAIN WEB SITE.